One of the more challenging things I face as I try to present my historical-critical-mystical perspective on scripture to others is explaining pseudonymous texts. Only seven of the texts in the bible that are purportedly written by the Apostle Paul, for pointed example, are likely to have been written by him. The remainder are by individuals writing in his name, who are doing so for a range of different reasons. It's to convey his theology, or to use his authority to bolster their own, or to give provenance to a message. But we have trouble with this, in our modern ownership-society sensibilities. An author is pretending to be someone else? Piggybacking off of another's name? It feels like plagiarism. Like cheating. Like it's faintly nefarious, a copyright violation. I try to explain that this was common practice in the ancient world, that it was hardly an unexpected or negative thing. But folks often still don't buy it. Then I came across a little bit of pertinent data from our era, more specifically a pungent factoid about the most published author in all of AuthorLand: James Patterson. Patterson is everywhere. There's a rack of his books at the local Harris Teeter. He's the Bestseller di tutto Bestsellers, with over three hundred million sold. He also doesn't actually write most of his books. He did, at first. But when he caught fire, he started subcontracting out his ideas to other writers, who would write "with" him. Meaning, they start with a general idea Patterson had, and someone else entirely writes a novel based on the outline he gives them. That's how he can crank out 15 books a year. 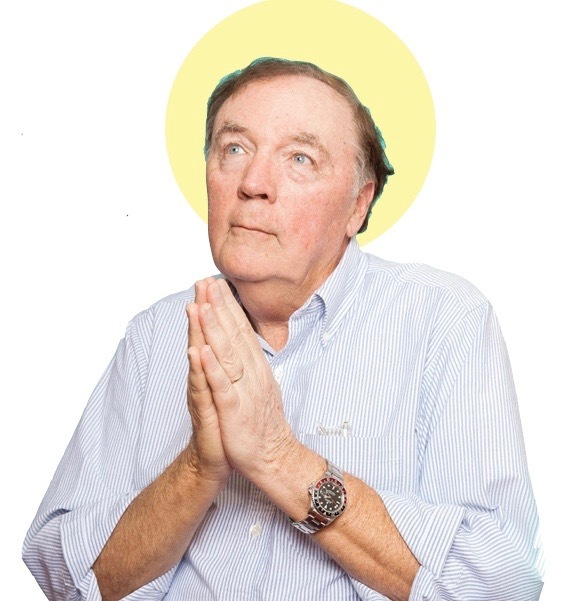 Those James Patterson novels may say they're "by" him, but they aren't precisely his. He's the brand, the franchise, the provenance. But not, technically speaking, the "author." Not in the way most people think. I'm not troubled by that, honestly. More power to him! And I wonder, in the way I wonder such things, if that might not be a useful contemporary illustration for how a book can say it's written by Paul, and yet not be written by Paul. Perhaps we can best contextualize pseudonymous authorship by imagining Paul, the brand. Paul, the author...in part...of the bestselling book of all time. With his name, in all the books, even if he did subcontract out on occasion.